When US beckoned me...: Rang de Basanti! It started with mysterious ink stains on my school uniform. They were as unavoidable as the sleazy news on TOI website these days. Probably the heydays for those fountain pens which otherwise fared miserably throughout the year. Small squirt-injections were smuggled in classrooms as preludes to the funky squirt guns being prepared for the actual event. The five minute walk to my house from school turned out to be a game of Dodge-Balloon as the strategically aimed water-containers (a mark of respect to the new ultra-thin plastic bags) always found a spot that hurt the most. Thankfully, the tallest building enroute was only four storeys high, else Newton might have recoiled in horror to witness the bloodshed unleashed by free-falling projectiles. As my mother and grandma tucked their pallu in, gearing up to make world's most delicious puran polis; I began stocking up my resources for the inevitable. A huge bag of gulaal, large packets of washable colors, tiny sachets of permanent colors, long-distance Spiderman squirt gun (though I fancied the one attached to 2 barrels of water hung on your shoulder) and a heart of steel. Dusk set in, and Papa picked up a peeled coconut as we set out to the big field near Ganpati temple. My heart raced as the familiar sounds of dholak reached my ears. It was time to light the bonfire, and my hands were itching to toss the coconut in the blaze and bask in its warmth. 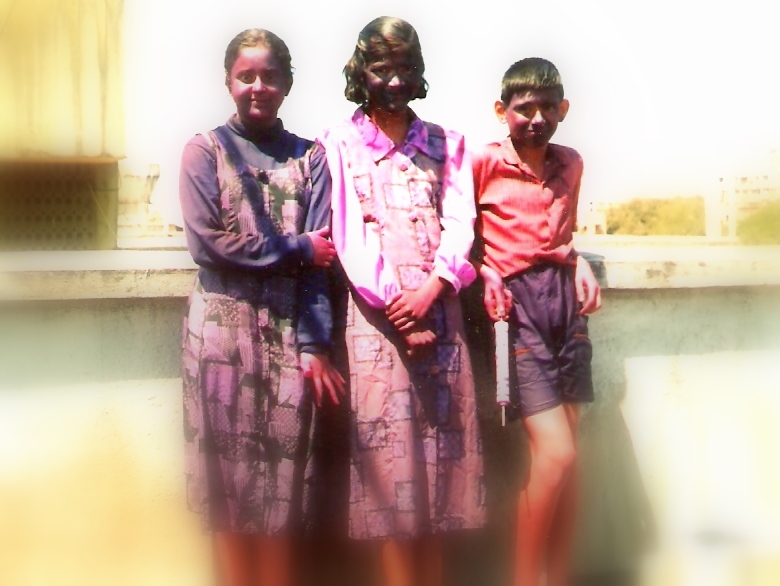 Neatly piled stacks of branches and hay, splashed with petrol embraced fire to devour the evil Holika as we kids, ran around it, yelled at by our respective folks to stay away from the leaping flames. It was a sheer delight to see the coconut shells turn into embers and scrape off the last bits of barbequed flesh from their insides. An hour or two, and we retraced our steps back home with tiny fires leaping in our tummies thinking about the next day. Older kids swooped in with the swiftness of a facebook 'like'. We were hosted in air like little sacks of grain, and carried over to the backyard to be roughed up in accumulated mud puddles. A few lucky ones made their way into the tank the building construction workers had temporarily set up. To add insult to injury, all our weapons were confiscated and used against us. A pinch of permanent color in the hair, and a whole week was doomed, trying to rub it off your skin. But the spirit of holi outlasted all animosity and soon, we were filling buckets and guns with water from the colony tap (suspiciously, whose lock was nowhere to be found). Some elders gave in to their innate desires of joining in the fun, and sprayed water cannons from indoors. A bunch of kids with overprotective moms, had their share of sadistic pleasure by dropping water grenades from their barricaded balconies. Thoroughly exhausted from the ordeal, tiny feet made their way to their flats where their folks picked up the brats like foul rats, and dropped them in the bathroom. Aptly put! Awesmeness! loved it! happy holi siddhu! :-) missed u!